""An enthralling second-chance love story." Globetrotter, Danica Pavlova spends her days scouring old folktales and her nights trying to forget her life is anything but a fairy tale. Ten years ago, she ran away from her best friend the night after causing his crippling accident, convinced Adam King was better off not loving her. But when her brother is diagnosed with leukemia, she resolves to come home to care for the family she abandoned and face the love she never forgot. 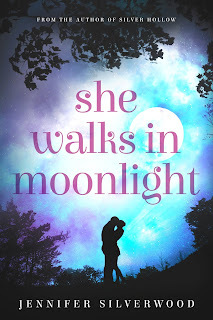 Will she find forgiveness for the mistakes of her past, or can there be a second chance for a woman who walks in moonlight? Perfect for fans of Jojo Moyes' "Me Before You" and John Green's "The Fault in Our Stars", She Walks in Moonlight explores both redemption and romance in the face of tragedy.